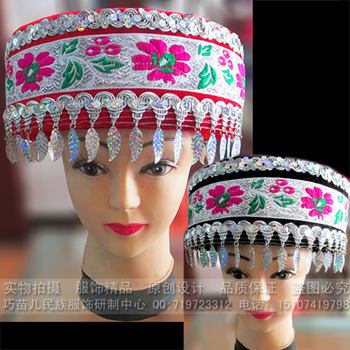 The one thing that Hmong hats or head dresses are known for is it's over-the-top decorative elegance. 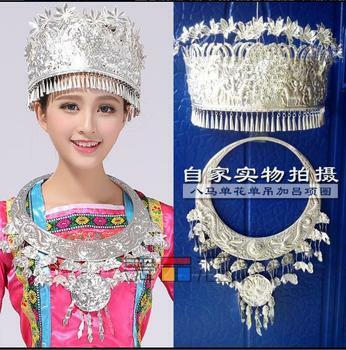 Whether we are talking about the colorful and beautifully stitched embroidered patterns head wraps or metallic ornaments, we can all agree it's uniquely Hmong. 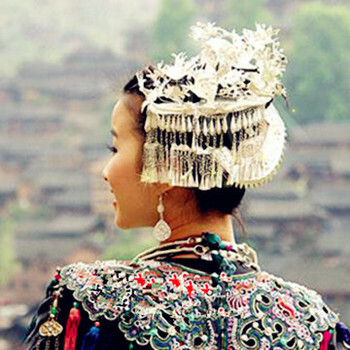 Depending upon the tribe, the head wear itself is as creative and unique as the clothing. 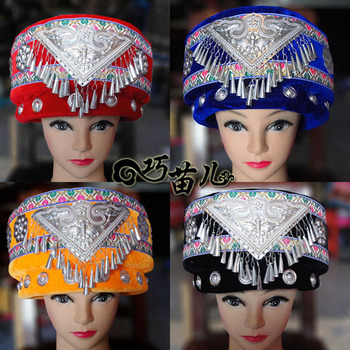 Traditionally Hmong hat wear consist of clothed wraps. 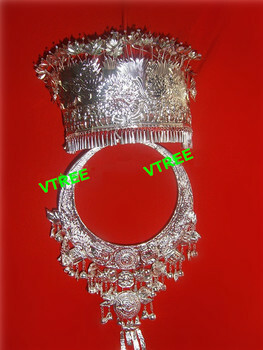 Some are a basic solid color, whereas others can be multi-colored and adorned in a creative way. 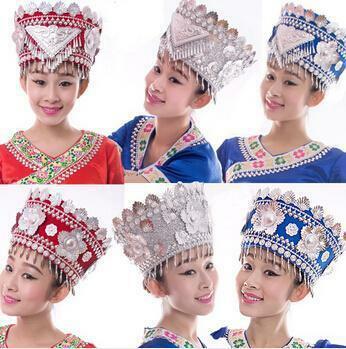 Upon Hmong New year, the head wear can be extremely creative and ornamental. 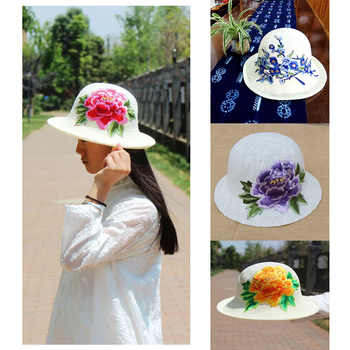 For example, beads, coins, or even feathers can be decorated around the brim for a beautifully fashioned look.